Deep tissue massage reduces chronic pain, repairs injured muscles, and relieves stress. Each massage session promotes total physiological relaxation by targeting deep muscles and fascia across the body. Examples of targeted areas include the neck, shoulders, lower back, hips, and quads. These areas often bear the brunt of daily strains and are most prone to repeated injury from exercise or activities. 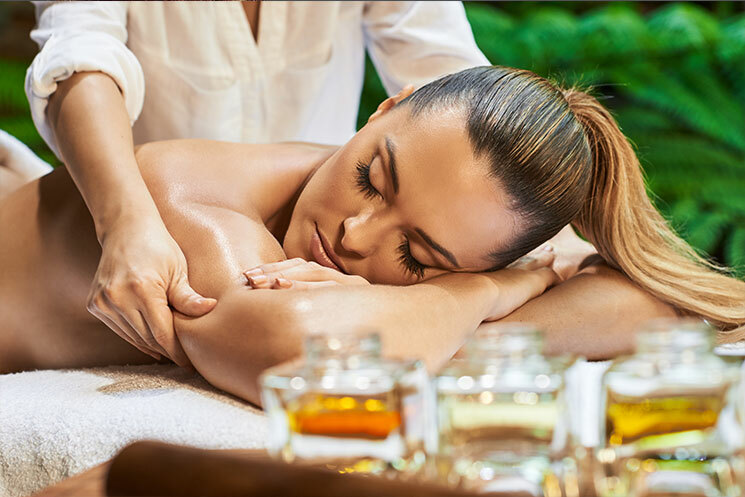 The professional massage therapists at Salon Sleek perform a customized massage that focuses on your body’s specific aliments and supports holistic wellness. Deep tissue massage utilizes firm pressure and long, slow strokes to relax your muscles, allowing the therapist access to the deeper tissue layers. This enables them to truly alleviate your stresses and work out complex knots that are often the primary cause of bodily aches and pains. Combining deep tissue techniques with a full body massage provides a very healing and effective experience. The enhanced pressure improves blood pressure and breaks apart inflammation, which restores mobility and lessens pain. This type of massage is also beneficial for that have been injured by compressing and releasing tension or tightness within the scarred tissues. Each Salon Sleek massage is customized to your specific needs. And, the therapist might recommend a deeper technique to improve your physical health and results. Call Salon Sleek today to book your deep tissue massage and treat yourself to a truly relaxing, therapeutic experience.